Vitamenz is a unique blend of vitamins and antioxidants designed to support sperm health. All of the nine natural ingredients in Vitamenz have been clinically researched by fertility specialists to support male fertility. Healthy sperm and healthy eggs make healthy babies. 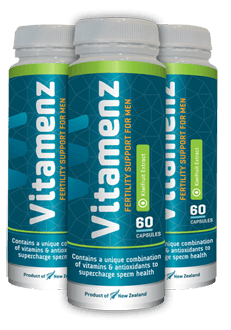 Vitamenz supports optimal sperm health from day one, helping you be the best prepared that you can be while trying to conceive. The perfect family starter pack, with four months supply of Vitawomenz and three months supply of Vitamenz. 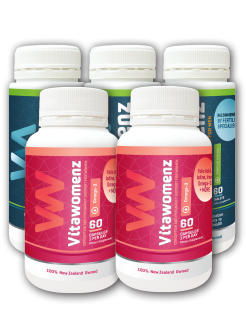 Two months supply of both Vitawomenz and Vitamenz to continue supporting male and female fertility health. 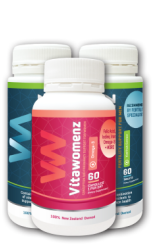 Vitamenz is a natural dietary supplement designed to support sperm health. Every tablet contains a unique blend of nine natural vitamins and antioxidants that have all been clinically researched by fertility specialists to support male fertility. Taking two Vitamenz tablets, once a day with food, in the lead up to conception and as you try for a baby will provide essential sperm health support, vital in assisting successful pregnancies. After three years we are thrilled so thank you! Our wee bubba is officially a Vitamenz baby. We could not endorse the product or customer service more. Thanks. Vitamenz changed our lives. Thank you for not only providing the great supplement for Dean but for being such a great support to us too.